Very prolific, Pierre Huot has produced over the years a great number of oils, pastels and drawings. 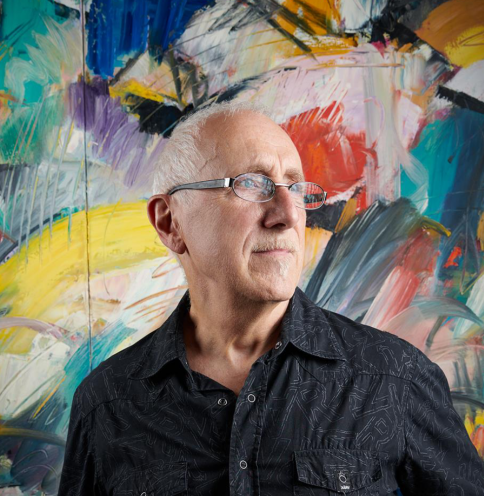 Originally known as a figurative painter, his research has recently led him to focus more on pure abstraction. His approach is intuitive and spontaneous. He works the surface of his canvas or paper by applying bursts of bright colors in thin or generous layers, using backstage “dripping”. The use of a spatula or a scraper makes each of his works unique compositions revealing his personal style: the Huot Style. Pierre Huot, lives and works in his studio in Ottawa.